Taking photos has become easier than ever before. Today we can preserve our dearest memories with just a few clicks and share them with our friends. Still, Photography is a complex art that requires a lot of skill and more importantly equipment. Carrying heavy bags full of external camera flashes, lenses and all sorts of other professional paraphernalia can be difficult and most people are not ready to make that kind of sacrifice. Android phones reduce the need for high-class equipment for most photography enthusiasts, but the built-in smartphone cameras sometimes fail to do the trick and capture the magic of the moment. Photo and video camera apps enable you to take more control of the image making process and at the same time, they bring the professional level of image quality to users who have only the basic level of knowledge about capturing video or taking photos. We have selected the best photo and video camera apps that will assist you in getting the image quality the highlights of your life truly deserve. Photos taken with any of the automatic settings on the Android phone cameras can result in blurry, over or under exposed images and pictures that don't please the viewer's eye. That is why apps like Manual Camera allow aspiring Smartphone photographers to control every detail of the process. The app can be downloaded at Google Play Store for $3.52, but before downloading it the users must make sure that it is compatible with their phone. 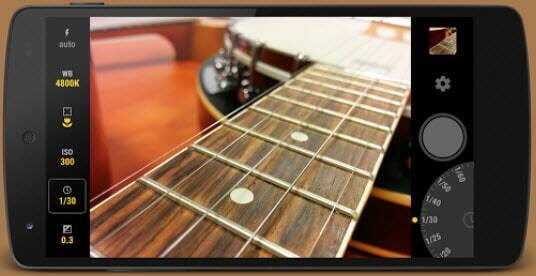 Manual Camera is the first Android camera app that enables users to have full manual control. The users can adjust almost all of the most important settings to the conditions of the scene they are photographing. Shutter speed, white balance, ISO values, Focus distance can all be fine tuned to meet the requirements of the particular situation in which the photo is taken. Using Manual Camera feels like having a real professional DSLR camera in your hands, only without the bulky equipment bags. 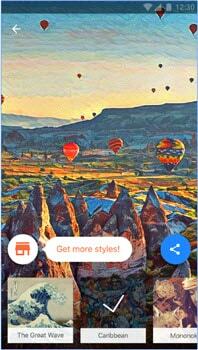 Although Cymera cannot assist you while you are taking a photo, it is one of the most powerful image editors on the Google Play Store. This free to download app has it all, collage photo options, hundreds of filters, beauty tools, emojis and the list of features goes on. Cymera is compatible with most Android phones and it's famous for its elegantly designed and easy to use interface. You can choose between hundreds of selfie filters and special effects that will make the photos you took with your phone stand out. The app is equipped with an automatic face recognition option that will enable you to enlarge your eyes and smiles. 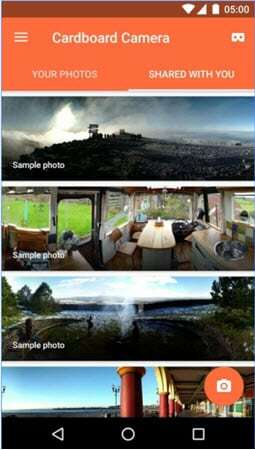 The Cymera users can choose between seven different camera lenses including the Fisheye and Lomo lenses that work well with selfie sticks that can be connected with the app via the Bluetooth connection that the app also features. Even though Cymera is a superb photo editor it still relies heavily on filters and special effects which is why it is most suitable for users who just want to snap a quick selfie and share it quickly on their social media accounts. We all want to look like a work of art or at least most of us do. Prisma is a perfect tool to turn your selfie into a modern art piece with just a few simple actions. Less than a year ago, it was one of the most installed free apps that took the world by storm. The app allows you to share your creations with the rest of the world fast and astoundingly easy. Prisma's interface is beautifully designed and it is so simple to use that even the children could do it. The app runs on Android 4.1 which means that most Android phones are compatible with it, however, it requires access to your personal information and permission to use your phone's camera and pictures. This app leaves much to be desired because it reduces the image resolution, the filters can only be applied on square images and it lacks before and after preview. If you are looking for fun and easy to use app that will give your photos an artistic flavor, this is a perfect app for you. This is an app that will bring the pictures taken with your phone one step closer to DSLR-like picture quality. The Camera FV-5 Lite is designed to enable photography enthusiasts to fully control all photographic parameters while taking a photo. The app allows you to save your images in JPEG, RAW, and PNG format, but it doesn't offer photo editing options. It is worth noting that this app enables its users to take long exposure photos, with exposure times up to 30 seconds. In addition, the app allows users to choose between Speed-priority and program modes and to adjust to the environment in which they are using the app. Camera FV-5 Lite is equipped with the most advanced electronic viewfinder that features a live RGB histogram, 9 crop guides, and 10 composition grid overlays. Although it isn't compatible with older models of Android phones, and therefore only the owners of phones like LG Nexus 5 or Motorola Nexus 6 can use it, it is still one of the best camera apps for Android phones. Taking a selfie sounds fun, but at times it can prove to be a difficult task. BestMe Selfie camera app is a specially designed camera and photo editor that makes taking selfies as fast and easy as possible. With more than 10,000,000 installs it is one of the most popular apps on the market. It is free to download and it requires Android 4.0 or higher for optimum performance. 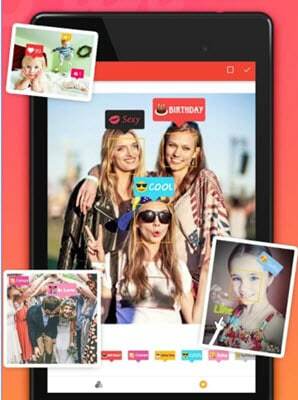 Some of the app's unique features include mirror real-time filter, real-time collage, no Crop for Instagram, a timer that allows you prepare better and numerous other options that guarantee that selfies taken with BestMe Selfie camera app will stand out. 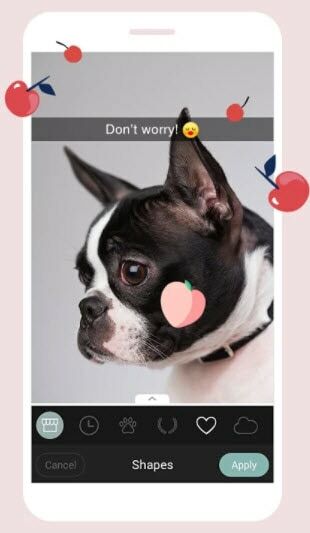 The app's photo editor enables the users to choose between a large number of filters, emojis, tag stickers that can only highlight the quality of their selfies. The app can be easily connected to a selfie stick and pictures taken with it can be easily shared to almost any of the popular social networks. BestMe Selfie Camera is great for capturing awesome self-portraits, but the users who are looking for a camera app that can do more than that should opt for other apps that have more manual options. 'Just Pure Photography' is the company's motto, and the DSLR Camera Pro does exactly that. It brings the pure photography experience to Android phone photographers who would like to create photos that meet the highest professional standards. The DSLR Camera Pro app can be purchased at Google Play Store for just $3.52, and at that price, it is practically a steal given a number of possibilities it provides to its users. 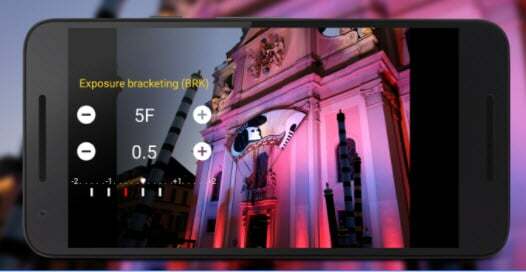 You can adjust the ISO values manually, choose between timer, burst, single drive modes, apply color effects and much more with this app. The DSLR Camera Pro's interface is simple yet smart and easy to use. However, it is worth noting that most features are hardware dependent which means that you need to make sure that the app is compatible with your Android phone. DSLR Camera Pro is one of the most reliable apps for photography today and more than 50.000 users that installed this app prove that it is capable of stunning performances. Virtual Reality seems to be the technology of the future. In 2014 Google launched the Cardboard app that brings the VR on the display of your Android phone. This amazing app is free to download and it enables the users to access other VR content from the app store. VR photos that the app is producing are three-dimensional panoramas that have a slightly different view for each eye. The process of creating a VR photo is rather simple, just open the Cardboard Camera app, click on the Capture button and move the phone in a circular motion. All pictures you created can be viewed by using the headset that lets you explore your images in all directions. The Cardboard camera app allows you create links that you can email or share anywhere on the internet, but your friends and colleagues will need a Cardboard certified viewer to see your VR pictures. With more than 50,000,000 installs Open Camera is one of the best if not the best camera app for Android phones you can find on the Google Play Store. It is completely free and it requires Andriod 4.0.3 or higher for maximum performance. The app allows you to take photos or shoot video, including HD. 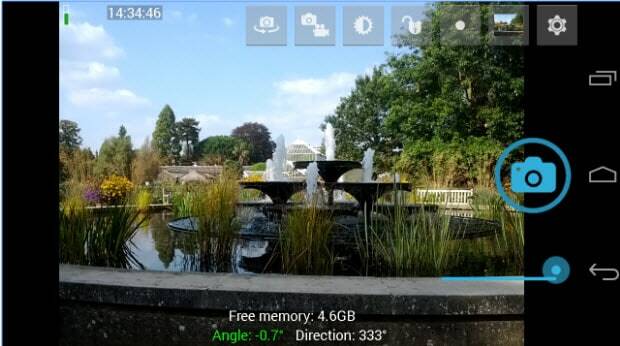 The Open Camera app is equipped with support for focus modes, face detection, scene modes, white balance, ISO, color effects and support for HDR, among other things. It is primarily a recording tool, but users can add subtitles or custom text to photos and apply date or timestamp. The app allows you to save RAW files and edit your pictures later in a more powerful image editing program. 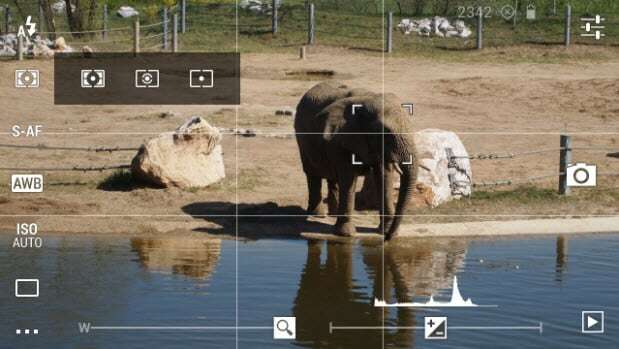 Open Camera can bring all the advantages of a DSLR to your Android phone, but using this app requires some level of previous knowledge about photography and videography.